Daegu, Korea - Susana Feitor will be setting a record next Wednesday (31 August) in Daegu, just by taking her first steps in the women’s 20Km Race Walk, marking an unprecedented 11th appearance at the IAAF World Championships. Not that she’s looking to stop, now she’s enjoying it. 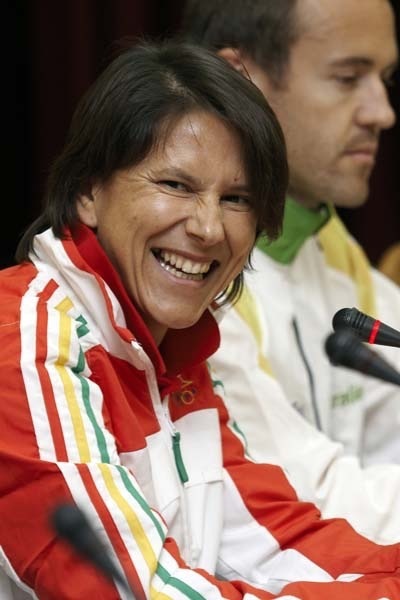 Since Berlin 2009, the 36-year-old Portuguese race walker jointly has the most appearances at ten with German discus thrower Franka Dietzsch, having competed in every World Championships since 1991. Her career highlight during that time being the bronze medal she won at Helsinki in 2005. Russian dominance of the podium places may well continue, but Feitor is looking forward with enthusiasm, intending to match her achievements and renew rivalries that helped inspire others to follow. Approaching her fifth Olympic Games this summer Susana Feitor wants to believe she can finally “do something” in a World Race Walking Cup and Olympic year. “I’m enjoying my training and I think I can finally achieve a result”, said the 33 year old Portuguese race walker who has relatively thrived in IAAF World Championships in Athletics (bronze in Helsinki, fourth in Seville and fifth last year in Osaka) yet did not finish in the last World Cup and has had an Olympic run of luck showing 13th as her best placing, back in the 1996 Atlanta Games.